The gold prices touched the 15,000-mark in the bullion market in Mumbai on Thursday on account of heavy buying by the stockists amid firming trend in global markets. The silver also followed the same trend and firmed up smartly due to fresh demand from the industrial users. 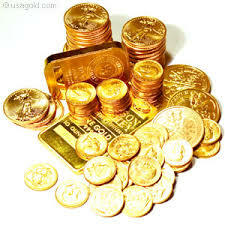 The spot gold was bid at $952.40 an ounce as against $950.40 an ounce late in New York on Wednesday. It touched a high of $956.50 an ounce in the early trade. The silver was at $13.74 an ounce as against $13.68. In the domestic market, the standard gold (99.5purity) surged Rs 85 per ten grams to Rs 15,020 from Wednesday''s closing level of Rs 14,935. The gold had touched this level on April 1, 2009, when it was closed at Rs 15,130.